Once again I put a few hours in, and this time I was working on a quick model for a small flying creature. This creature is going to be eaten, then spat out by our main character, Rex. 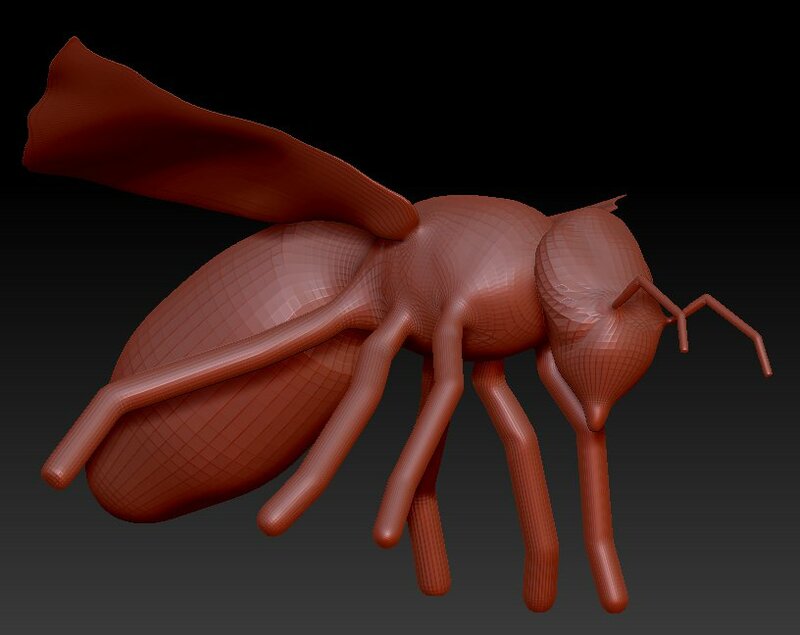 I decided this morning to base it on a honey bee, so did a quick search on Google for a few pictures for reference, and then whipped up this model. Once again it is a draft model, so I have all the creatures I need to start working on a previz soon. Seemed to come out how I was hoping. I really have to admit that reference pictures really help, as I have no idea what this would have looked like if I had tried to model it out of my head. It will look a bit better closer to final when it has some textures, the classic yellow/black stripes, and maybe even some hair if I decide to give it a close up shot in the animation.